Hello there! Let’s start summer. 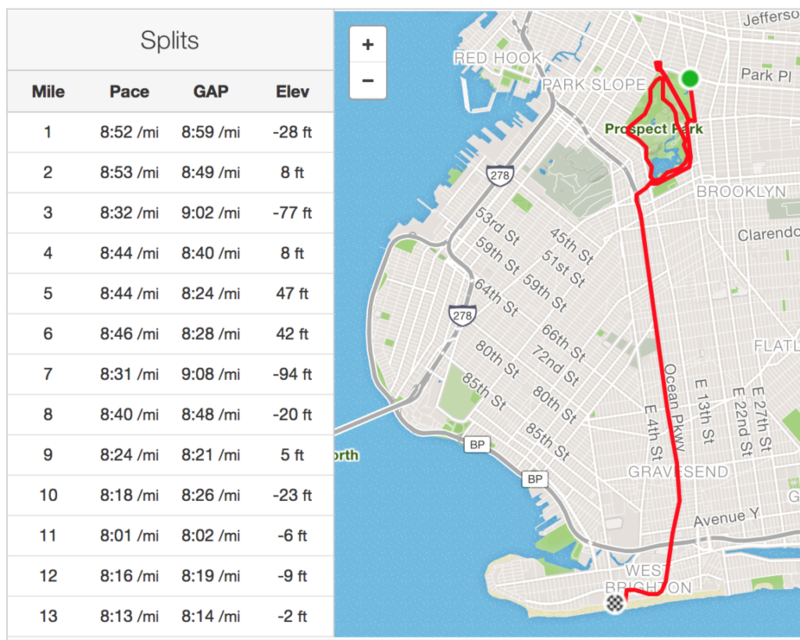 I ran the Brooklyn Half again last weekend. It was my slowest time yet because getting older but it was also the first time I felt I couldn’t have done any better. I ran the second half of the race faster than the first, a feat called “negative splits.” Any runner can tell you that is a Good Thing though I don’t think anyone knows why. One hour, fifty-two minutes, and forty-seven seconds — I’ll take it, happily. Hold on just a sec though, there’s a textbook 13 Weekends idea in there. Last half faster than the first… I could work with that. Which brings me to the last half of this post. I run in large part because of Mom, who was diagnosed with Alzheimer’s five summers ago. I write in large part because of Mom, too. After her diagnosis, we flew out to Iowa for support, all of us swimming in a new sadness that still hurts to recall. During one of our chats, I asked Mom for permission to write about her. Before Alzheimer’s, she wrote in her free time and was always encouraging of me when I showed even the slightest inkling. Even if it made her a little uncomfortable, I knew she’d get it; we have writing in common. She said yes without a moment’s hesitation. Over the years, on sticky summer nights when I struggled to fill out this blog, I often thought of her. I’ll be running the NYC Marathon this November, and fundraising on behalf of Caring Kind while I do. More about that soon. I’m ditching chronology in favor of theme this summer. I’ll be writing about Mom, like I promised her. I’d love to know what she thinks when we see her later this summer. Everything is moving faster now, and all of this has to happen on a tighter budget. More Tinyletters. Fewer hot nights spent pounding an idea into submission. Hey, with a little luck, I might even deliver these on time. For the first time in a few years, I’m nervous about starting. That has to be a good sign.